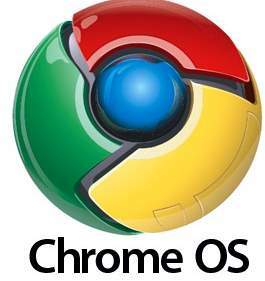 Today Google demonstrated the new Chrome operating system. In mid-2011, Acer, Samsung and Intel will come out with the first computers to have it. Google execs describe the Chrome OS as “nothing but the web. You can use it offline, but you can be always-connected through a partnership with Verizon.” Of course that means you’re paying for that connection. Most users will use Wi-Fi to go on the Internet, but they’ll also have access to 100 megabytes of data each month for two years, through a cellular modem. This could be very handy when you’re beyond the reach of a WiFi signal. Most people do most of their activities online now, through an always-on broadband connection. But they also have an operating system such as Windows or Apple to maintain. This can be a hassle, as anyone who’s struggled with anti-virus and anti-spyware software will tell you. When everything takes place online, your apps update themselves automatically and you don’t have maintenance chores. What can you do online besides everything you’re doing there now? To find out, take a look at the new Chrome Web Store, launching today. There are hundreds of apps already there in a dozen categories. You don’t have to own a Chrome-enabled computer to use them. Any Internet-connected device will do. In music, we saw things we’d never heard of, like “Toddler Jukebox” and “Beat Petite.” We tried out “Listube,” an online music player and “Wordico,” a word game. However, Listube didn’t work so well. The Tchaikovsky music we were playing stuttered and stopped. This has never happened to us with any other online music service, including Pandora, Rhapsody and Slacker. So obviously, not all the apps are ready for prime time. On the other hand, the PBS Kids video player worked great.